I am writing to let you know my disappoint and surprise that your frontpage article would have such a bad-mannered title. “Preservation Clarkston: We don’t want to be Troy” (Jan. 9)! 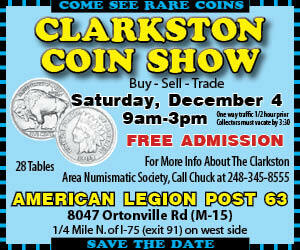 I love Clarkston, grew up in Clarkston, my family is still there, but I currently reside in Troy. The two towns are unique in their own ways. Multiple friends and family texted me a picture of the article with comments such as “How rude!”, “Can you believe they wrote this? !”, etc. And frankly, I agree. While the subject of the article is great and what these people are trying to do is fantastic and should be recognized, maybe next time you should think twice about the title. Yes, everyone is easily offended and the “freedom of speech and freedom of the press” is trending towards no longer being actual freedoms. You have the right to print whatever you want, but in life, there is no benefit to being impolite.